Starting in 2021, Americans will require permission to visit Europe… technically the 26 borderless countries within Europe’s Schengen area. But if these Americans had a passport from within the region– like Italy or Spain for example, then they wouldn’t have to rely on chance. And having a second passport would help them from some potential serious issues at home, too. For instance, last year the US government cancelled 362,000 passports, all from people who they believed owed some back taxes. I say ‘believed’ because they don’t actually have to prove it. There’s very little due process– they don’t have to go in front of a of judge and provide evidence to an objective, independent third party. Instead, revoking a passport is a simple administrative procedure. Aside from taxes, the government can also deny or revoke a passport if you owe (or if they believe that you owe) more than $2,500 worth of child support. That’s how it is now. But with the rise of so many socialist politicians, who knows what excuse they might come up with next to cancel a passport. Having multiple passports is a great insurance policy. It means that you’ll always have a place to go, where you can live, work, invest, bring your family, etc. And it also means you have the ability to move and travel. If you only have one passport and some bureaucratic blunder causes yours to be revoked or frozen, your whole life can be turned upside down. Fortunately there are a number of simple, cost effective ways to obtain a second passport (which, by the way, is 100% legal). Ancestry is generally the easiest and cheapest way to get foreign citizenship. But it can take time. The process usually involves contacting your nearest consulate and setting up an appointment… which might take months depending on the consulate. But that will give you time to gather all the necessary documents proving your line of ancestry—things like your grandparents’ birth, death, and marriage certificates. *Then there’s an ancestral quirk that could qualify you for a second citizenship in Spain or Portugal. Both countries brutally expelled all Jewish residents around 500 years ago. And now they offer amends in the form of citizenship for the descendants of “Sephardic” Jews. Also if you’re Jewish, you easily qualify for Israeli citizenship, which comes with great tax benefits if you actually move there. And by the way, all passports aren’t equal. Many countries on this list are among the top ranked passports according to our Sovereign Man Global Passport Ranking. For instance, a German passport is ranked 7th best in the world, because it gives you visa free access to 158 countries which cover almost 60% of the Earth’s surface, and account for 77% of the world’s GDP (Gross Domestic Product). Italy is ranked 8th, and Luxembourg, UK, Hungary, and Greece are all in the top 16. A US passport falls 26th in the rankings. There are other ways to get a second citizenship. If you were looking to move abroad anyway, spending a little over two years in Argentina makes you eligible for a passport. Right now it’s cheap too, with European style for South American prices. And for as little as $100,000 you can expedite the process and obtain a second citizenship by investing in a country. Many Caribbean countries offer this deal, and so do European countries like Austria, Bulgaria, and Malta. Whatever route you take, you definitely want to get the process started now. Here’s a free resource that details four ways anyone can obtain a second passport. 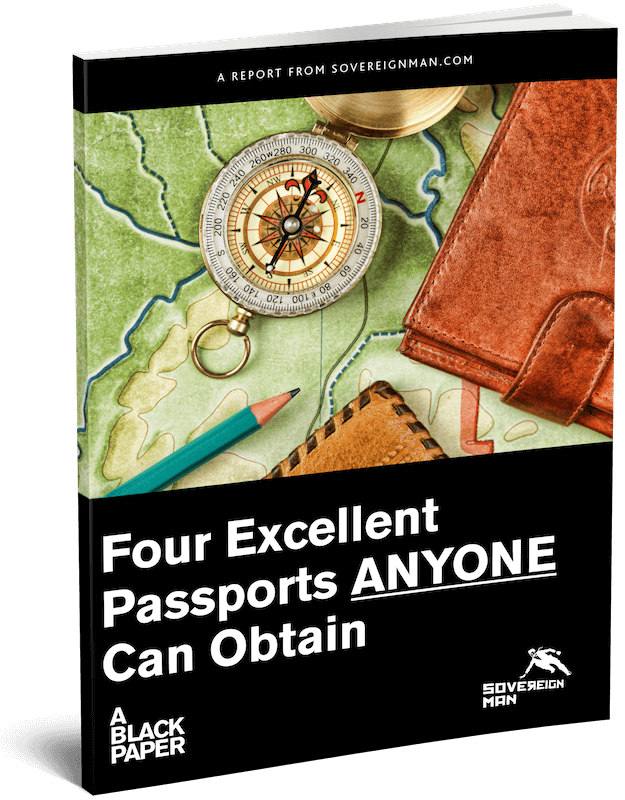 If you are interested in obtaining a second passport, I encourage you to download our free Second Passport Guide. Which country will give you a Second Passport while spending barely any time there. How to get an excellent Second Passport from Europe. Which Second Passport Option is the most affordable and best value. Where you can get a valuable Second Passport in less than HALF the time compared to other countries. You’ll learn all of these and many other useful strategies inside this free guide.